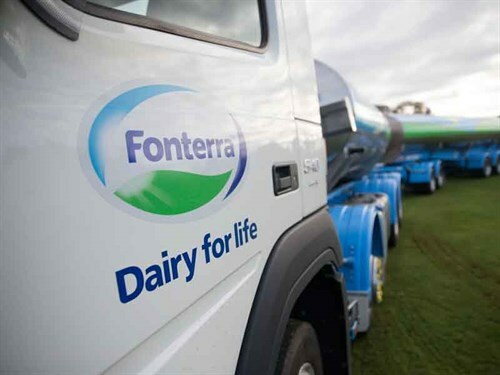 With a view to ensure a sustainable future for the dairy industry, Fonterra has committed to reducing their impact on the environment and, in particular, their impact on New Zealand waterways. Chris Lewis, chair of Dairy for Federated Farmers, believes that low impact dairy farming requires wider community support and that Fonterra’s commitment, built around environmental initiatives with proven success in New Zealand, may act as an incentive for the entire dairy sector and beyond. The dairy industry has been active in its efforts to reduce their impact on the environment. The 2013 Sustainable Dairy Farming Initiative saw "obvious reductions in on-farm nitrogen loss and greenhouse gas emissions" and is a success story Fonterra can build on. Chris notes that this initiative has triggered the development of "new mitigation techniques" and the Dairy Tomorrow Strategy, which was recently launched. Results of this survey conducted several years ago indicated that the average farmer spends $18,000 on environmental work annually. With evident interest from farmers and the added commitment from Fonterra, Chris believes now is the time to rally wider community buy-in and continue to reduce the impact of the dairy industry on the environment. With each catchment being completely unique, this strategy is supported by Federated Farmers and its industry partners. Chris is pleased that this approach, which has produced "sensible, practical, and affordable solutions for water quality" in the past, has been adopted by Fonterra. To have a dairy giant such as Fonterra committed to environmental initiatives may encourage community-wide change. Despite this, Fonterra is cannot be the only player. Chris notes that community-wide initiatives will also require considerable government support and "robust science methodology to help farmers implement innovative, low cost, and effective farming systems". Only such support can allow for the low impact, sustainable dairy industry Fonterra, Federated Farmers, and many independent New Zealand farmers are committed to.